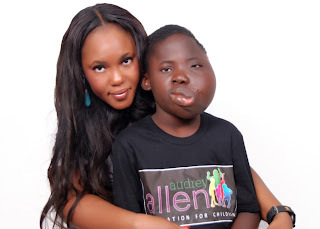 A foundation known as Audrey Allen Foundation, AAF that will cater for the interest of the underprivileged and abused children in the country has been floated in Abuja. Conceived, designed and piloted by a leading Abuja based events management company, Allen Touch Events Limited, the foundation seeks to pool resources for the numerous affiliated Non-Governmental Organisations, NGOs in the quest to better the lot of the children. As a Mother of NGOs, Audrey Allen Foundation (AAF) will be saddled with the burden of sourcing for funds for our partner NGOs for the actualization of projects as the foundation has identified the paucity of funds as a limiting factor towards the effective implementation of projects. The owners of the Foundation, known for its craftsmanship, quality, and service-oriented approach to business as well as outstanding reputation for creativity, efficiency, originally established itself as one of the best events managers in Nigeria when they designed the SIAONE SOCCER ACADEMY, for the NIGERIA’s ex-international and former Coach of the Super Eagles, Samson Siasia amongst others. With an vision to stand out as the Mother of Child related NGOs in Nigeria, the foundation is poised to monster the capacity to assist up to 100 Child related NGOs on related issues such as Polio, HIV/AIDS, Child prostitution, Child Abuse; both sexual and domestic, child trafficking, Autism, Down syndrome, Leukaemia, heart diseases and a host of others in raising funds for their projects by 2020. According to the founder, Tosin Allen, the foundation’s major tool of raising fund is woven around entertainment, which include Movies, Music and Comedy, hence the choice of the slogan “saving lives through entertainment.” The foundation believes that Child related NGOs are gravely faced with serious scarcity of funds in the execution of their projects. Already, the foundation has listed and is currently working with some A-list entertainment icons for the first phase of its movie. These include Andy Nwakalor, Screen writer, Producer, Director, who was the best Director AMMA awards in 2006, best Director ZAAFA, 2007, Iyke Okogwu, Film Producer, Director, Cinematographer, Editor, Photographer, commonly known as “Iykeman” and Lummie Edevie, Writer, producer, Director, who is regarded as one of the brightest minds involved in the film and television business in Nigeria. Edevie is an Alumnus of Asian Academy of Film and Television, India (AAFT), and a member of the international film & TV research center. Others are Femi Brainard, Actor and screen writer as well as Aanu Michael of Good Morning Africa. Some of the cast lined up include Genevieve Nnaji, Bryan Okwara Actor and Mr. Nigeria in 2008, Denrele Edun, Ali Nuhu, Uti Nwachukwu, an Actor and winner Big Brother Africa 2010.